Each of us, every single day, to varying degrees are conquering fear – or, at least wanting to. You may even find yourself paralyzed with fear about something right now. We’re gathered here today because there’s something you and I both know that you need to be doing right now that you’re not doing. Yes, that’s right – you’ve been busted. It’s time for an intervention. You likely have some form of internal dialogue that keeps you stagnant. These could be anything from an elaborate story, to just a short statement you use like a mantra that’s discouraging, or even belittling of you. This dialogue is either based on a story you’ve learned from someone else, or something that you’ve created on your own from something that happened to you in the past. You gave a specific meaning to that event a long time ago, and now you’re giving that same meaning to whatever it is that you’re procrastinating on. The meanings we give to things are why they can become painful or difficult for us to even think about doing them. 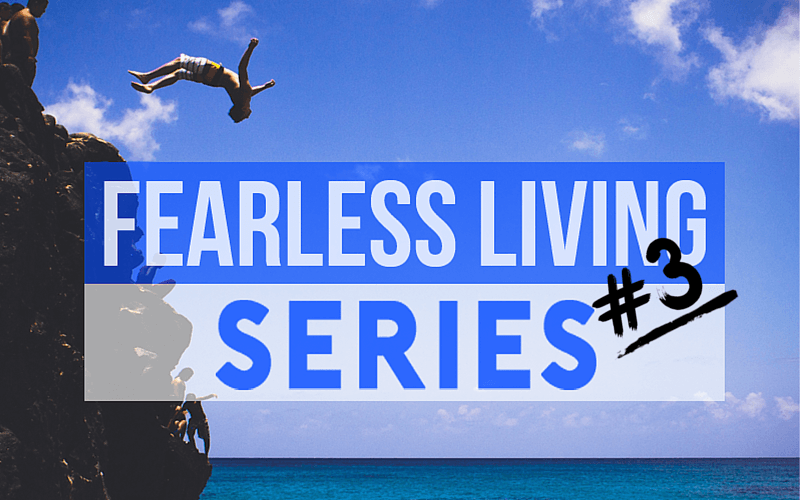 Every part in this Fearless Living Series is meant to be totally vulnerable. It’s my hope to not only humanize myself for my readers, but to share both personal and professional insights that I’ve learned along the way. I’ll share my own journey to conquering fear. I’m just as guilty as you are. I have a fear that I’ve been working to overcome even very recently. It’s one that’s held me back from seeing the true potential of myself AND my business. Fear isn’t something that can be fully eliminated, but that doesn’t mean that it has to hold you back. If you’re committed to something, you can do it in spite of the fear, but not completely without it. Without fear, bravery wouldn’t exist! Conquering fear seems like something that should come naturally to a life coach who runs a blog called Fearless Pursuits. …But I’m still only human. Who am I to help you as a life coach, when I have my own fears to battle? Sure, I’ve battled with myself over this. I judge myself harshly for it. 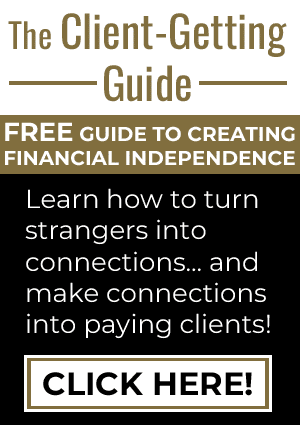 It’s akin to what’s called “Impostor Syndrome”, where a person is filled with self-doubt and insecurities about pretending to be something that they aren’t – whether it’s feigning confidence, or touting themselves as “successful” before actually seeing their business’s first paycheck. We’ve all been there. Yup, that’s been me lately. I’m a coach who has founded the very essence of her business on the idea of fearless living, and yet I still find myself fighting to conquer fear of my own. My purpose in sharing this is to shed light on a process of working through fear. Basically, you’ll get to hear me coach myself. That may sound silly, but the strategies I’ve been taught have helped me to be my own biggest source of courage. For me, I am not growing in a particular area. I am not fully helping people as much as I could, and it’s eating me up every day because of one, specific fear that haunts me. So what is this fear that’s haunting me? In a word… Judgement! I judge myself, and I fear that other people will judge me, too. But it seems so much bigger than that. It’s because I have deep-rooted limiting beliefs about myself that lead me to believe I’ll be judged. I’m making excuses. To rationalize, I call them “reasons” why I can’t do it, or shouldn’t do it. You’ve probably done this before, too – but these aren’t really reasons… they’re really something called “rational-lies”. What am I making excuses about, anyway? What is this big, scary task that I’m making into such a fuss for myself? It’s actually so simple that I’m a little embarrassed to admit it. I want to create a presence on Youtube. I want to record videos about my blog posts, tools, coaching. In general, I’d love to extend my outreach to an entirely new, exciting, and HUGE audience. After all, what better place to help people than a website that boasts a userbase of 1 billion people? I may sound a bit more excited talking about it now, compared to how I started off with this article – a sign that I absolutely must do this despite my fear – but public speaking has always been intimidating for me. I’ve been planning on doing this for a really long time. I have made a little progress. Starting small felt doable. Maybe, I could just do the tasks that are easy and don’t amount to a lot of pain. Little things, like setting up my account and buying film equipment. Wait! Hold on, there was a word that was bolded back there. Did you catch that? If you suspected it was important somehow, you’d be absolutely right; and, most likely, it also correlates to you. Let me explain. I understand what I’m doing. By only doing what’s convenient or easy for me, I’m avoiding pain. Some of it is a real pain of some kind (some hard work, a lot of time editing videos with my annoyingly spotty internet connection), but most of it is the fear of perceived pain. When we look at the word “motivation”, it literally means ‘a reason for taking action’. We are motivated to do something or not do it based on whether the pleasure gained from it will outweigh the perceived pain. Sometimes, we even feel a sense of pleasure, however temporary, by our inaction. After all, isn’t it a lot more fun to be browsing the internet, rather than that major revamp of your resume you were planning on doing? You almost forget that this resume could mean so much more for your life than just the boring, black and white document that it looks like. This is because you haven’t given it the meaning that it deserves, because you’ve already attached a negative one to it. All of us do this. We’ll look at the pain in something, or the pleasure “lost” by doing it, instead of looking at the guaranteed positive end result of truly, fully applying ourselves. We pick and choose which issues we do this with, too, based on our personal standards and priorities. Me? I’m not so much afraid of “losing” fun or pleasure. I’m just attaching a bad meaning to it by creating a perceived outcome in my mind to be frightened of. I have made up a story that suits me. It makes me stay comfortable, and complacent. This is NOT a proud moment. I can, at times, look at the positive side. Sadly, it’s short-lived. Then I go back to the fears, almost like a blanket. 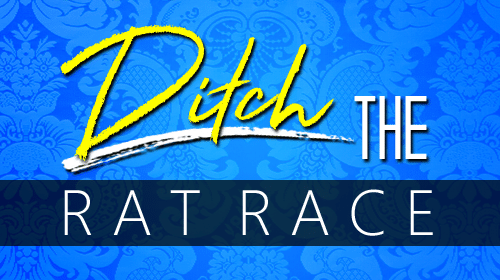 I talk myself out of taking action, because I’ve made the negatives bigger than the positive. I can see that my journey to fearless living is still a work in progress. That’s why, right now, I want to open up and share in real-time how I’m beating the one obstacle that’s keeping me from it: my own mind. Now it’s time to move to the next phase of conquering fear: actually getting going! Okay so let’s get to it. 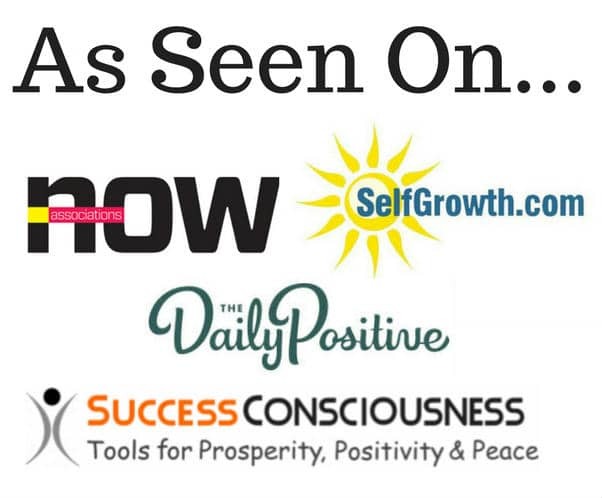 Below is a free, live demonstration of a coaching session for overcoming fear. While my fear is specific to speaking to the masses through a Youtube channel, this can benefit anyone in some way. There are a lot of techniques we could use. I like the T-Chart method for something like this but in this case I will use the “yes” technique or also called the “love” technique. I will go into this below. The first step is discovering my “why”. Why what? Why do I want to do it? This is relevant to show the desire. Remember, we as humans do things or DON’T do things based on two primal feelings. Why we do what we do…Pain and pleasure. Finding my why is important to change my focus. Remember what I said above, I am procrastinating over my pain; my fear. I created “stories” in my head of all of the negative things that “may” happen and I repeat them over and over in my head. What I am going to do now is write out the upside and why I want to do it and say “yes” to those points. I will embrace those points to change my focus to feel “love” for them. You can follow along… Get a paper and pencil. Step one: Why do I want to create a Youtube channel and begin recording videos? To help people. Why do I want to help people? I made a decision… a commitment to help people move forward and grow to improve their life. 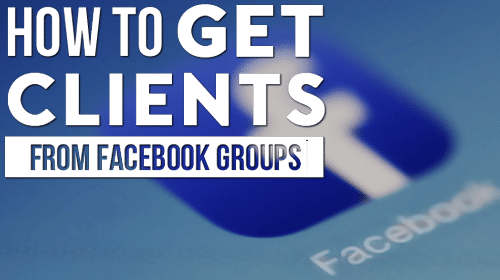 My skills have helped many people already and videos are a way of getting my message out to more people. What I do changes the world one person at a time. I make money doing what I love. I want people to stop living in fear as I have for many years. I want people to have more passion for life and live an abundant life. I can help you find clarity so you can make a living doing what you love. I enjoy the teaching process. It’s fun! It feels great knowing that I can help even one person feel free from fear. It feels great knowing that I could help someone feel joy. Step two: Make a commitment. Make a deadline to make a small change towards the goal. I commit to creating my Youtube account within two weeks. Step three: Say YES! Read my why statement above one to two times a day. Whenever the doubt creeps in, read my “why” statement. This is an important exercise in conquering fear. Having a support system will be important as well. But wait, there’s more! There’s still an important aspect of conquering fear we haven’t talked about yet. Letting go of fear can be very difficult. 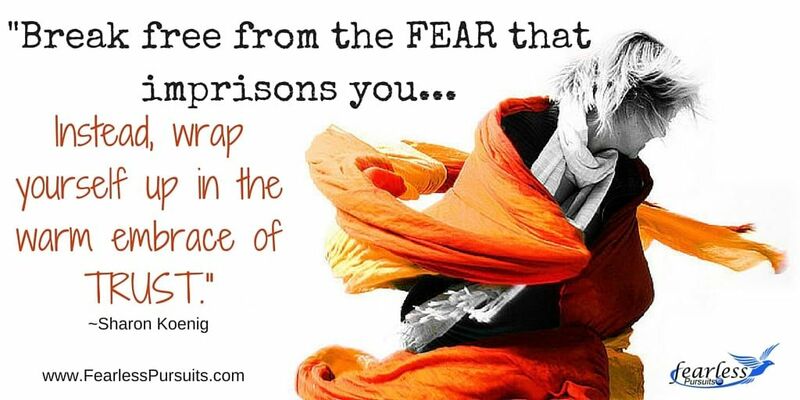 Another reason why letting go of fear is so hard? Not feeling like we’re in control! In this case, I have to trust that my goal will lead to a positive outcome don’t I. Trust means that I have little control. It is not at all surprising that trusting and believing is difficult for someone. I have had many clients who battle with this. Let’s for example sake, take a look at a very controversial topic. God, religion, or a higher power. Do you trust in any of those? You can’t see God, but for some, they simply believe. Now, how do you have that much trust in a process? What about having that much trust in the fact that, no matter how scared you are of taking an action, it will always be fine in the end? For someone like me, who battles with trust like that, I need to be shown “proof”. People can give you examples of gravity, the air and even God working in their life. This is not up for debate. It’s proof. Let’s keep working with the process to conquer the trust issue that I have. When I do, I’ll have a stronger commitment to follow through with the technique previously outlined. For another person, it may seem like a silly technique. It sure seems like it to me, too. Knowing that it works, though, is more than enough for me to do it. It’s enough for me to recommend it for you, too. This issue of letting go of fear and trusting that I won’t be judged as I go public with a youtube channel is, well let’s face it…IMPOSSIBLE. I can be certain that I WILL be judged. We see how people slam others for no good reason all over the internet. In this situation, I will have an alternate step. Step four: It’s so important to see the proof in the world that everything will always be alright. 1/3 of the people will LOVE me. 1/3 of the people will hate me. 1/3 of the people won’t have an opinion. 1 BILLION people visited Youtube last month. I can reach/help more people on Youtube vs my blog. My blog will be found on Google searches better all because of my Youtube channel. Other website owners will share my videos if it is relevant content. 65% of all humans are visual learners. Revel in the statistics: Okay, so it looks as though I have a very good chance of helping people. That’s a LOT of great information that represents enough proof for me to T-R-U-S-T.
That I can deal with. This step was far more beneficial for me than “just having faith” that it will be fine. Working with the first technique, coupled with examining the proof that I just laid out, makes it a LOT easier to feel motivated to move forward. I feel better and more resolved to follow through without fear. It’s really funny when I stand back and look at life. In the end, it is ALWAYS okay. We all have our struggles, some far more serious than this. In the end, we all seem to come out of them just fine. It isn’t enough for me to “just believe”. This is, of course. a mantra that gets me through difficult times. It’s the only part about being older that I like. I have the years of experience to know that it will always be fine. It’s a comfort, a blanket that I can pull out and wrap around myself and have an inner knowing. So we have dealt with some major issues here in this free life coaching session. Fearless living is about admitting when you have issues to work on. Lifestyle design is all about creating a life that is joyful through the inner work that we do along with the outer work. Conquering fear is simple, but not easy. Once you understand your “why”, you can do anything. Your why is what motivates or moves you forward. Understanding your why is what helps you grow and in the end, let’s hope you can change the world-one person at a time. 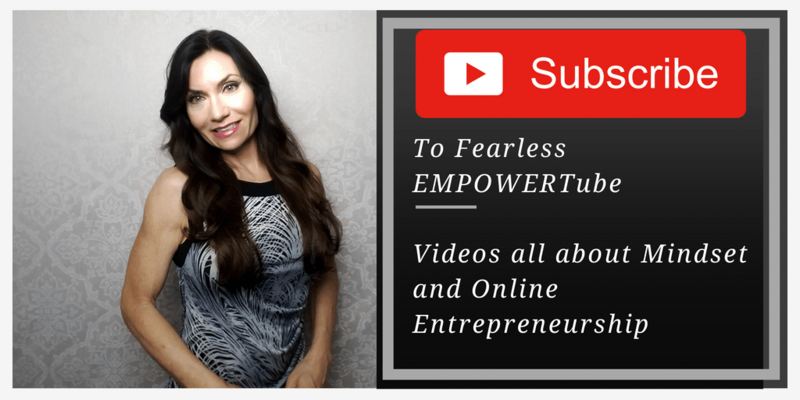 In the spirit of fearless living and lifestyle creation, my public commitment and goal is to conquer fear and create my Youtube channel and post my first video by mid- November. Cheers to your success! Let’s continue the conversation, so please post your comments below.